​​​​​​​The following schedules indicate the recommended ages for routine administration of currently licensed vaccines for children. Any dose not administered at the recommended age should be administered at a subsequent visit, when indicated and feasible. 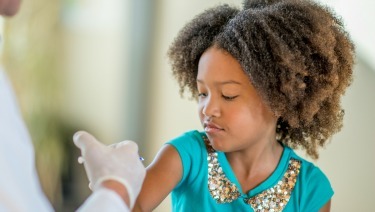 AAP Pediatrician Anita Chandra, MD, FAAP offers an important message about how immunizations give children the protection they need to live long and healthy lives.